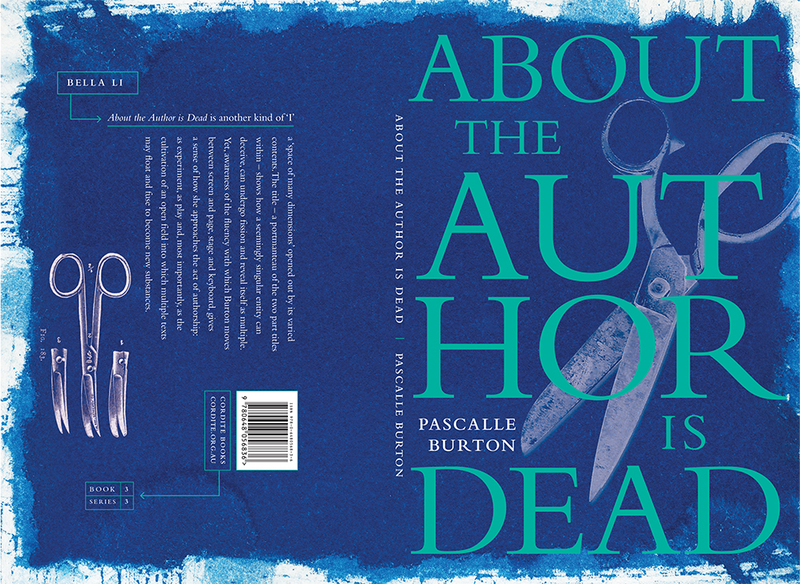 Pascalle Burton’s About the Author is Dead refers to, and opens with an epigraph from, Roland Barthes’s seminal essay, ‘The Death of the Author’. Inside the collection, we find not one author but many: David Byrne and Grace Jones, Miranda July and Jacques Derrida; authors who are filmmakers, authors who are poets, philosophers and musicians. In the company of the contemporary and the dead, Burton raises questions about authorship and originality, authenticity and truth – questions that remain central to creative practice. Well into the second decade of the twenty-first century, the old temptation – in poetry perhaps more than other genres of writing – is not only to conflate the speaking ‘I’ with the authorial ‘I’, but also the authorial ‘I’ with the figure in the garret, monolithic and secluded. To conceive of a text as ‘a tissue of citations’ (to quote Burton’s epigraph from Barthes) is to acknowledge that all texts are in some sense collaborative endeavours, joined by genealogies – though the lines of succession are neither linear nor clear. It is also to recognise, as Burton does, that biography consists of more than just births, marriages and deaths: ‘I’ is, in the end, also of text; is composed, in fact, of many texts together. About the Author is Dead is another kind of ‘I’, a ‘space of many dimensions’ opened out by its varied contents. The title – a portmanteau of the two part titles within – shows how a seemingly singular entity can deceive, can undergo fission and reveal itself as multiple. Such thematic and stylistic allusions to film hint at the multidisciplinary nature of Burton’s work: her creative practice incorporates video, performance, visual art, music and animation. An appreciation of About the Author is Dead does not depend upon familiarity with this larger body of work. Yet, awareness of the fluency with which Burton moves between screen and page, stage and keyboard, gives a sense of how this particular author approaches the act of authorship: as experiment, as play and, most importantly, as the cultivation of an open field into which multiple voices, sources and texts may float – and fuse to become new substances. This entry was posted in GUNCOTTON and tagged Bella Li, Kent MacCarter, Pascalle Burton, Zoë Sadokierski. Bookmark the permalink.